Undertaking a daring or new initiative can be daunting. These 4 leadership tips that I learnt from my Harry Potter-obsessed son can help. Our 7 year old son discovered the Harry Potter book series this year and he is hooked. Every night at bedtime we read him a chapter and he’s currently on Harry Potter and the Goblet of Fire. His best friend, R, is also a huge fan of the series, and recently they hatched a plan to catch the evil Lord Voldemort (the diabolical arch baddie if you aren’t familiar with the series). The attempted capture may have been during lunch break or after school, I’m not sure of the precise details, but the following morning I came downstairs to find a written plan on our coffee table. When I read the plan I wondered if I might be out of a job. G had created a short and concise document that captured the elements of what all leaders or project managers should do when implementing change, or undertaking risky ventures such as trying to stop an evil magical Dark Lord. He also presented it in a much more entertaining way than most strategic plans I’ve seen. Here are the steps. Headings in his own words. How are you going to catch a powerful wizard like Voldemort without a plan? You could try, but you’ll probably be dead before he can say “Avada Kedavra.” How are you going to implement a school or organisational-wide change without thinking ahead? Acting on a whim just isn’t going to cut it. 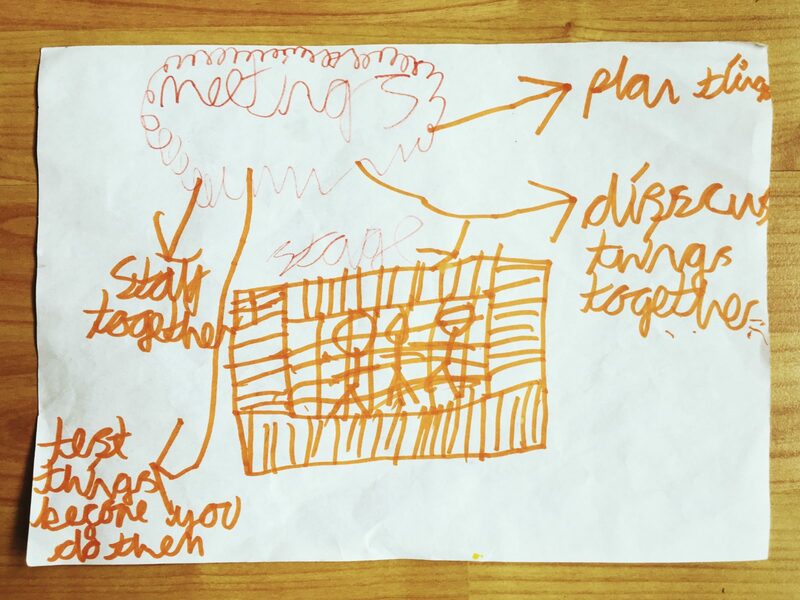 If a 7-year-old can write down a plan, so can you. It’s all very well trying to beat Voldemort but, if there are two or more of you, then you’ll need to communicate. When I first started managing people, I honestly thought that everybody thought the same way as me, and that it was obvious why I was trying to implement any changes I introduced. I quickly learnt that I was wrong. Leadership is really about bringing people along with your vision. To do this, you can’t just assume that staff or collaborators see why what you’re proposing is a good idea. You need to sell your ideas. Consult. Persuade. Be persuaded. Listen. I have to admit, I was a proud mama when I read this on G’s plan. Maybe going to fight He Who Must Not Be Named with a spell you’ve never tried before is a poor idea. Doing a small-scale trial is always good. Day to day, there isn’t an experienced teacher who hasn’t done something off the cuff. But I get so bored of the number of fairly major school-wide initiatives I’ve seen in my career that get implemented across the whole organisation without any real trial. Small-scale trials can give valuable information. A group of volunteer teachers, a year group or some other small sample is always preferable before rolling it out to the whole organisation. My son and his friend clearly didn’t want to fight The Dark Lord alone, they are only 7 and his magic is strong. In leadership it’s not wise to consistently act alone. Firstly, if you are alone then who are you leading? Leaders need followers. You need to keep your staff going in the same direction so you can actually achieve something. Secondly, you need allies and peers who you can ask for advice and learn from. Ok, so I made that one, up but I do like the picture that he drew in the middle of his strategy. For your next bold venture, consider the surprisingly insightful steps that my son suggested: plan, discuss, test and collaborate. If you like this, then let me know and I’ll pass it on to him, he’ll grin a lot.